London's Phoenix Theatre will transform into a quaint Irish pub as the Tony-winning musical Once begins its West End run on March 16, 2013. Directed by John Tiffany, the musical will officially open on April 9. Prior to the West End bow the show will play the Gaiety Theatre in Dublin (the city where the show is set!) from February 22 through March 9. No casting has been announced at this time. Once features a book by Enda Walsh, with music and lyrics by Glen Hansard and Marketa Irglova. Set in Dublin, Once is the story of an Irish musician and a Czech immigrant who are drawn together by their shared love of music. Over the course of one week, an unexpected friendship and collaboration evolves into a powerful and complicated love story. 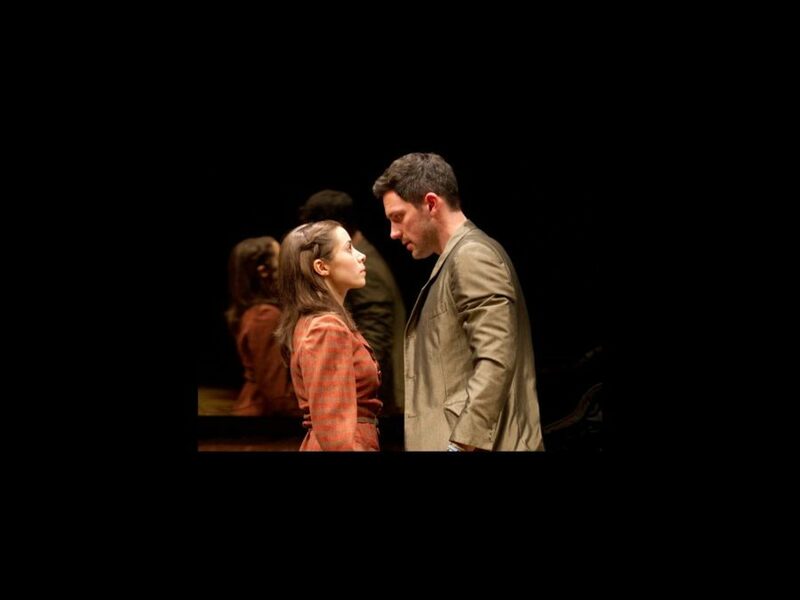 Once is based on the Academy Award-winning Irish film of the same name, and originally opened at off-Broadway’s New York Theatre Workship in 2011. The show earned 8 Tony Awards earlier this year including Best Musical. The Broadway cast of Once includes Tony winner Steve Kazee, Tony nominee Cristin Milioti, Tony nominee Elizabeth A. Davis, David Abeles, Will Connolly, David Patrick Kelly, Eliza Holland Madore, Anne L. Nathan, Lucas Papaelias, Ripley Sobo, Andy Taylor, Erikka Walsh, Paul Whitty and J. Michael Zygo. Click below to fall slowly for clips from the Broadway production of Once.